New Masking feature in Photoshop. 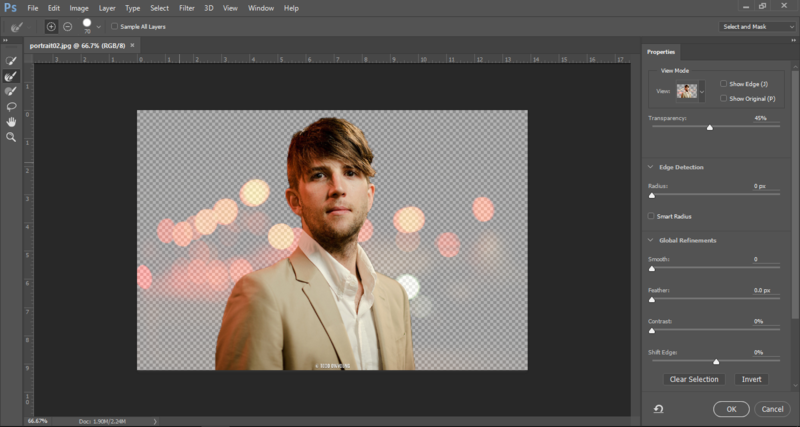 Where did the Refine Edge Photoshop tool go? Select and Mask…Where did the Refine Edge Photoshop tool go? A new masking feature in Photoshop is here. Any Photoshop user knows how important the concept of masking is to your workflow. In the past, the Refine Edge Photoshop tool has been one of those amazing Photoshop achievements that allows you to select intricate pieces of an image like hair on a person’s head. However, in the new version of Photoshop CC, the Refine Edge button has been removed. Like many people, I was taken aback by that decision and it took me a minute to figure out what happened. Masking is now handled using the ‘Select and Mask’ button. Inside of this dialog box, the Refine Edge tool still exists. The functionality and algorithm for the tool has been greatly improved by the Adobe team. Masking is actually better than ever, and, with a few short steps, you can take advantage of the newest version of this core feature. Start with any of your selection tools and create a good selection as a starting point. This will not be perfect, but is just a launch into the mask features that will help you fine tune the selection. I would suggest starting with quick selection and utilizing the adjustable brushes, but magic wand will do a great job for any color-based selection as well. Of course, the shape based tools will be helpful in certain situations also. Replacing Refine Edge Photoshop tool, the ‘Select and Mask’ command is where you should begin your selection refinements. In the options bar, click on this command to open the dialog box. This is where the screens will start to look different. The ‘Select and Mask’ dialog has the ‘Properties’ panel docked to the right side, and the refinement tools (and related) will be on the left. View screenshot below. Using the tools on the left side, you can continue to refine your selection with the Quick Selection tool and adjustable brush options in the Options bar. Here is where the Refine Edge tool is also located. Instead of an ‘Erase Refinements’ tool, you know have a ‘+’ or ‘-‘ option in the Options bar to refine or restore your edge as needed. The functionality is the same, but you may notice that the algorithm in place is much better. I have found my selections to be even more accurate than in the past. A lot of credit should go to Adobe for improving this feature, as it makes anyone’s work look that much more professional. One of the coolest new features on the Select and Mask dialog is the ‘Onion Skin’ view. This view allows you to literally “peel” back layers of the selection edge and its surrounding background. Adjust the ‘transparency’ slider to view this feature in action. You will notice that the remaining options in the Properties panel are the same as in previous versions. Use the Edge Detection and Global Refinements wisely to help you create the perfect selection for your project. At the end of your refinements, be sure to choose the proper Output settings so that all your hard work is stored properly. A common choice would be to output the work here to a New Layer with Layer Mask so that you are able to non-destructively return and adjust the mask at any time. 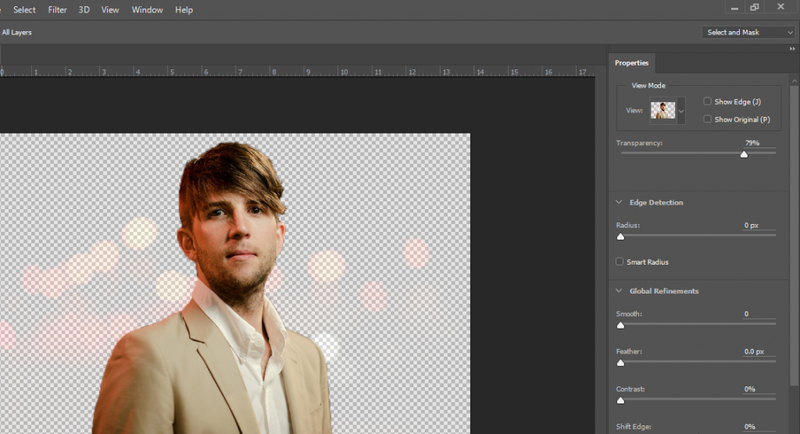 In conclusion, the Refine Edge Photoshop tool is alive and well. It has been improved and moved to a new home, but you should feel confident diving into the use of the ‘Select and Mask’ command to make amazing masks and use the Refine Edge tool like never before. If you are interested in more hands-on, live training in Adobe Photoshop and masks, please visit our Photoshop class page to learn more, here. Classes are available live in Fort Collins or Denver, as well as online. All classes are with an Adobe Certified Expert and you get all of your questions answered in real-time. Or you can fill out this form for more information. Fill out the form below to request more information about New Masking feature in Photoshop. 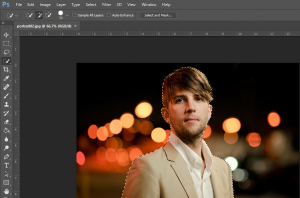 Where did the Refine Edge Photoshop tool go? or to request information on customized individual or group training sessions.